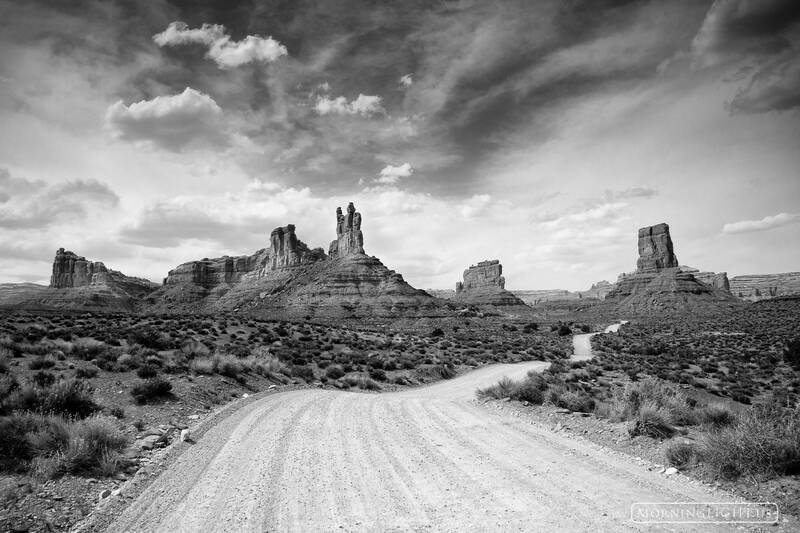 This image of a winding road in Valley of the Gods, Utah captures something of that classic desert southwest feel as the road disapears amongst the towering buttes. I chose black and white as I felt that it better conveyed the feel fo the loction. Photo © copyright by Erik Stensland.